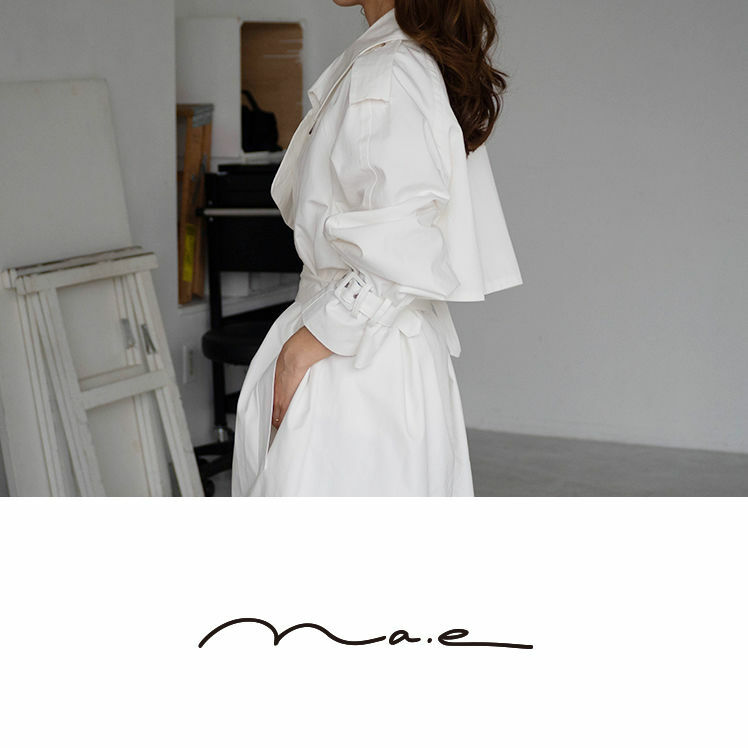 Na.e 「ナエ」 Korean for “my.” A designer can make clothes beautiful, but it’s my expression, my mood, my style and coordination that make them unique… that make them mine. My memories, my joy…and... my clothes. I’ll face the day with a spring in my step, a soft smile, and a warm heart. I’ll enjoy my clothes, my coat, and my life. For its second season-2019 SS Collection, , Na.e presents a trench coat. Like a call from an old friend on a somber day, Like an oasis found in the middle of a desert, Like discovering treasure in an antique shop, This is the trench coat you have longed for... Sometimes subtle, sometimes spacious Sometimes feminine、 For those times you need shake off the world, This is your trench coat.